Our Solar Array was installed on the 12th September 2016 so last week saw it reach its first anniversary. In Part 2 of our Going Solar series, I wrote that our system “has a predicted annual generation figure of 3,400 kWh“. So how has it performed compared to that expectation? Well I’m happy to report that despite what was, in part, another fairly grey and miserable Northern Irish summer, our solar array has out-performed predictions. With 3,497 kWh’s generated in the last year we can calculate that the ROCs payments will be around £420, slightly above our prediction (£408). We’ve had an export meter installed since 14th December 2016 and have only sent 385 units back to the grid since then (and 185 of that was when we were away on holiday). So our predicted export income of £51 will probably end up more like just £14. But of course this is good news, it means we really are using the vast majority of what we generate. It’s much better to use the electricity yourself (rather than have to buy it in at £0.13), than to give it away for only £0.03 per unit. I estimate our self-consumption rate at around 87% which is even better than the 70% I had predicted. While the government incentives are now gone (check out Part 2 for an explanation of ROCSs ) prices have continued to fall. I recently noticed a local company advertising a 4kW system for £3,499 + 5% VAT installed. 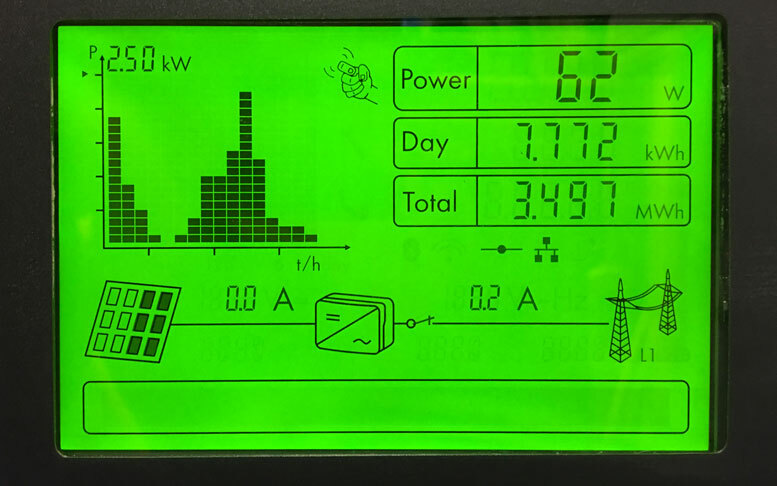 We’ve hit 87% self-consumption with the help of the Solar iBoost , but with an EV in the garage, the dream is to install a battery and reduce our reliance on the grid as much as possible. Check out Robert Llewellyn’s Fully Charged Show video which shows what can be done. Yes, the economics aren’t there yet, but it’s getting closer and closer. 5 Comments on "Going Solar Part 5 – Our PV Systems Actual Generation Figures After First Full Year"
How beneficial have you found the iBoost to be? I’m debating thermal or PV solar at the moment, and have lots of south facing roof space for both systems if need be. It’s just a 100l tank for 2 people, but the decision making process is interminable. I need convincing that the winter efficiency of PV into the immersion coil is enough to offset LPG heating costs! @Kyle – In a lot of days in December / Jan you can basically forget about having any kind solar PV generation.